Ever wanted to know what adoption of your product was like? Kernl Analytics helps your learn just that. We track the installed production version, WordPress version, PHP version, and language to help you make better decisions. 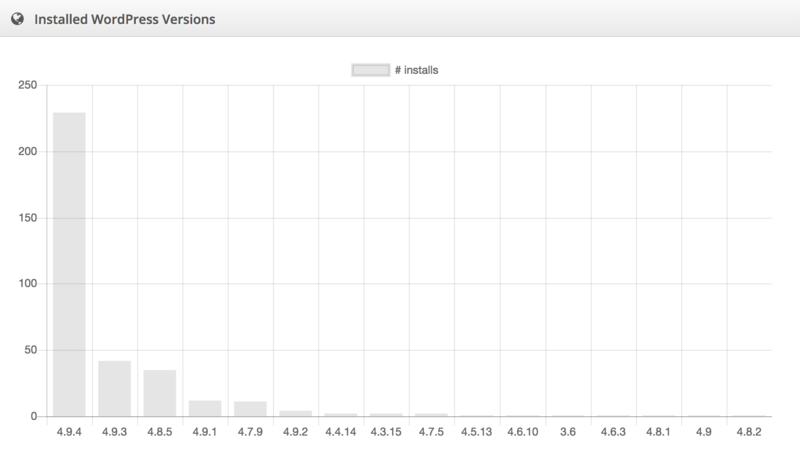 Want to know how quickly your users are adopting the latest version of your product? 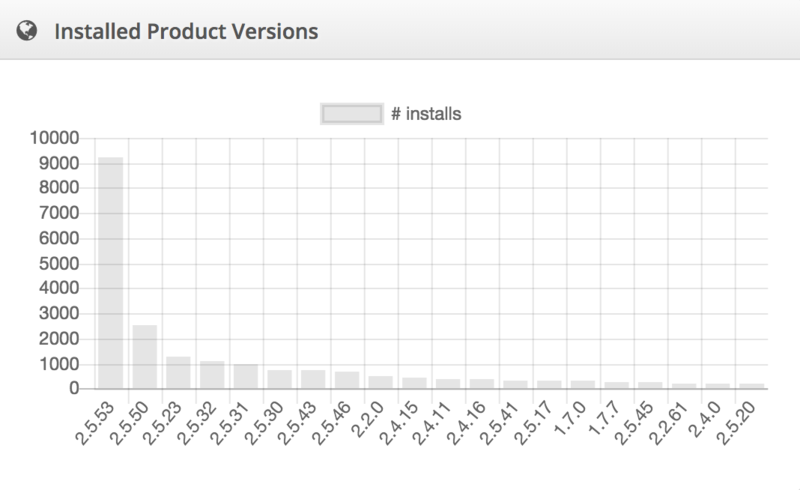 Curious about PHP 7 adoption? 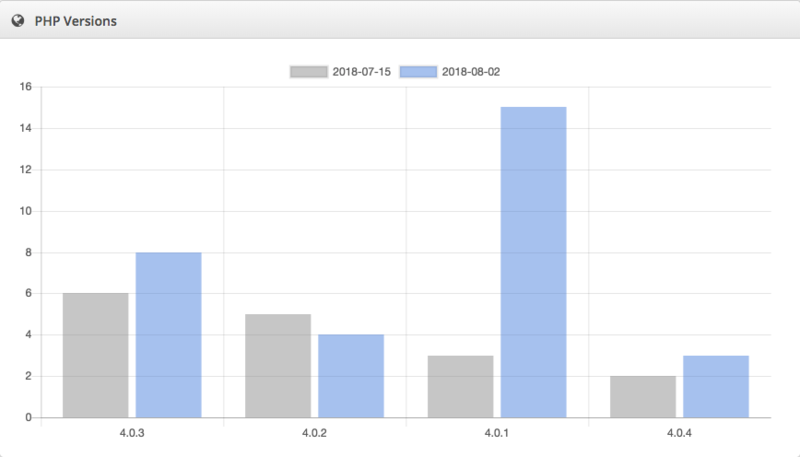 See changes over time with the Kernl WordPress Analytics. How diverse is your customer base? Do you know what WordPress features they have available? Use Kernl Analytics to help make smart development decisions based on real data. If you have a large install base or are a WordPress agency, knowing where your plugin or theme is installed can be extremely useful information for troubleshooting or focusing upgrade efforts.